Representatives from 13 countries with remaining tiger populations and other countries campaigning to save the animal from extinction are gathering in Russia for a four-day summit. The meeting was attended by Russian Prime Minister Vladimir Putin. “Some people may think – here are a bunch of officials toying with cats. But it’s not the future election that we think about, but about future generations. We have to preserve living nature for them. The situation with the tigers is disastrous,” the prime minister said. The Tiger Forum is the first of its kind dedicated to saving the threatened species. 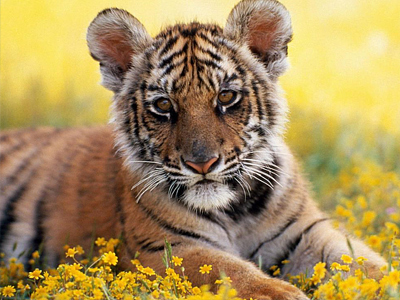 Over the last 100 years the number of tigers in the wild has dropped from 100,000 to around 3200. Deforestation and poaching are the main reasons for the sharp decline. 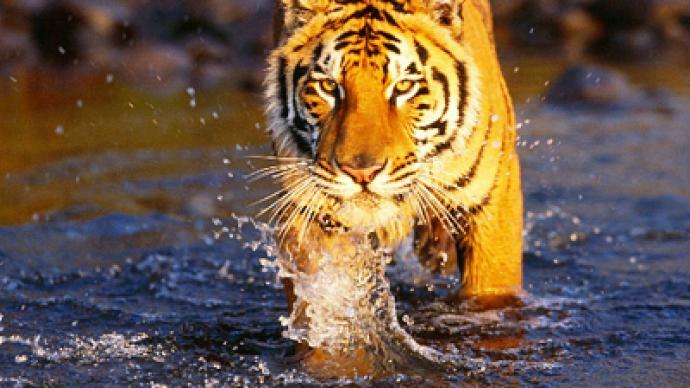 The summit hopes to double the number of tigers in the wild within 12 years. There has already been some progress in boosting Russia’s tiger population, through a simple, yet effective strategy of setting aside protected areas, a ban on hunting and stepping up efforts to fight poaching. As a result, over the last 60 years the number of tigers in Russia has risen from 50 to up to 500. The Russian Far East is the world’s biggest tiger habitat, accounting for about 11 per cent of the planet’s tiger population. Gelendzhik Safari park in Southern Russia is one of the places trying to save the animal. It is home to 11 tigers. The park’s director, Nikolay Zosin, said one of the reasons tigers breed so well there is because it is not a zoo – it began as an animal shelter. The first tigers arrived just a few years ago. They were taken away by court order from street photographers, who often mistreated the animals. Gelendzhik Safari Park provides the animals with medical treatment, fresh food and lots of space. It is also home to a celebrity – tigress Masha was given to Vladimir Putin as a birthday present in 2008, and he later gave her up for adoption. Although Russia is making headway in saving the tiger, in many other countries, the animal is on the brink of extinction. Joining Russia at the summit in St. Petersburg is China, India, Bangladesh, Butane, Cambodia, Indonesia, Laos, Malaysia, Myanmar, Nepal, Thailand and Vietnam. Countries with a strong campaign to save tigers, such as the UK, US and Germany are also attending the meeting. Together they hope to raise funds and sign pledges on poaching and safe areas, so that by 2022 there will be over 6000 tigers in the world. He said that when looking at these numbers, one cannot but realize that this species, so central to the planet’s ecosystem, could soon be extinct. Zoellick pointed out that the wildlife trade is the third-largest illegal trade after arms and drugs, so law enforcement and customs support is absolutely indispensable.